Down Darker Trails Hardcover - Chaosium Inc.
Click the button below to add the Down Darker Trails Hardcover to your wish list. Saddle up! Get yourself a posse together and have a look-see what’s over that hill. 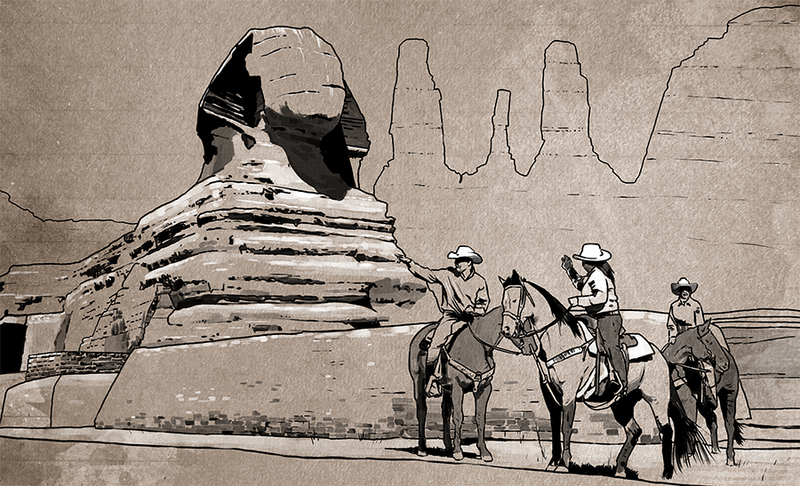 There’s strange rumors coming in from the whisperin’ desert. You’d best put a round in that iron and make haste! Down Darker Trails is a new setting for Call of Cthulhu—the American West of the late 19th century. 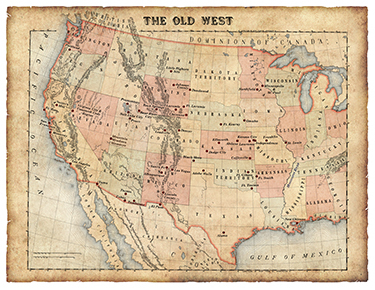 The era of gold rushes, outlaws and lawmen, discovery and expansion. Rub shoulders with the likes of Wild Bill Hickok, Crazy Horse, and Calamity Jane, while journeying through towns like Deadwood and Dodge City—names and places that have transcended history to become legend. Down these dark trails the taint of the Cthulhu Mythos stirs, ready to lure the unwary and tempt the power hungry with whispered secrets of cosmic knowledge. This is a West of hidden worlds, lost treasures and cities, dubious deals and unsavory alliances. A land filled with beauty, mystery, terror—and wild adventure! Here you will find the means to create Old West investigators, new occupations, new pulp talents, and new skills. Captured in text and image is the history of the Old West, famous individuals, playing American Indian heroes, notable places and sites, as well as inspiration and guidance on bringing the terrors and mysteries of the Great Old Ones into your games. Two complete towns, the gold-hungry Pawheton and San Rafael on the Texas border, are fully detailed, providing Keepers with ready-made inhabitants and locales from which to stage campaigns. Four different Lost Worlds are discussed, from the weird subterranean world of K’n-yan to the eerie Shadow Desert. Scanlon’s Daughter—a murder mystery set between two feuding Texas ranches. Down Darker Trails is a setting supplement with scenarios useable with Call of Cthulhu and Pulp Cthulhu. "Really, almost everything that you need to start adventuring in the Old, Weird, and Wild is included in this book. So, what are you waiting for? "—Microphones of Madness. "Does Down Darker Trails succeed in offering background material, locations, non-player characters, Mythos creatures, story ideas, and enough tone, mood, and flavor for a complete Western setting? The answer is yes, unequivocally. "—Reckoning of the Dead. "Down Darker Trails is an exceptional supplement. It corrects a historical injustice by customizing a great system for an era that fits supernatural horror perfectly, and provides ample information, both crunch and fluff-wise to enjoy investigations there… The production values (are) the reference point against which other high-end products should be compared. Full colour everywhere, incredible iconography, excellent choice of old pictures and posters, gorgeous pencils on the non-coloured art, and some amazing imagery…"—Antonios S. Review, RPG.Net. 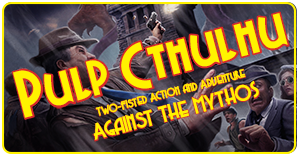 We have auto-calc character sheets for both standard Call of Cthulhu and Pulp Cthulhu. 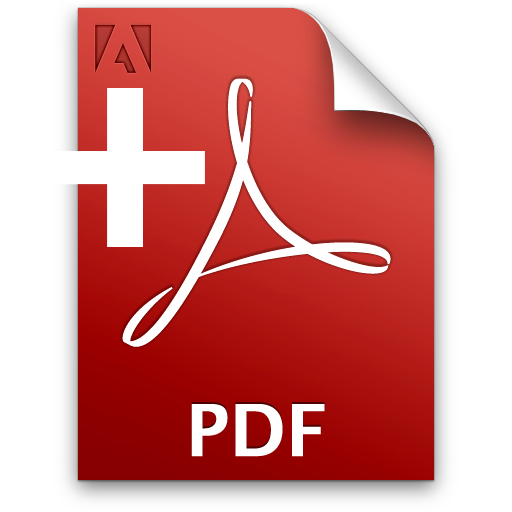 Click on the images above to get them. Can't get enough of the Wild West? 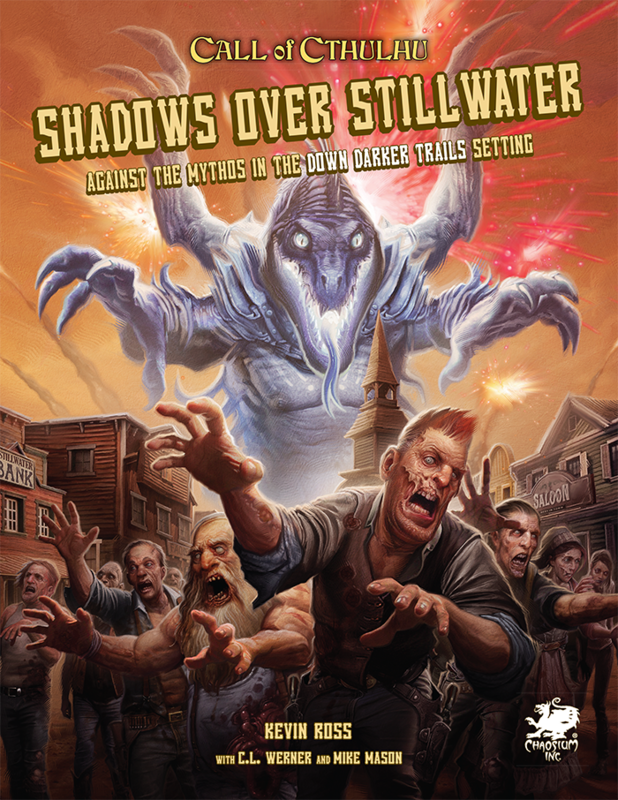 Mozy on over and check out Shadows over Stillwater for ever more fun! We have a full campaign, a standalone adventure, Stonehaven - a new locale to explore, and more adventure hooks. If you have a hankerin' for adventure, look no further. Down Darker Trails is likely to become a "modern classic" setting for Call of Cthulhu. I looked into it simply because Kevin Ross and Keith Herber were authors, and I was not disappointed. The "Wild West" is a common setting for Pulp action and the writers did a great job of writing a book that could be useful for both Classic and Pulp Cthulhu. The key thing to know about this setting book is that it is largely educational, with the goal of helping the Keeper design their own adventures within the setting. In that regard, it reserves a solid chunk of the book for historical background, characters, West-specific Mythos (and non-Mythos) threats, and lots to differentiate Investigators of the era. Of particular note to me is the space devoted to fleshing out two solid locations (Pawheton and San Rafael) to set adventures or a campaign in. This includes specific potential Mythos threats and adventure seeds. As a Keeper, I will always happily reduce the numbers of scenarios in a book in favor of fleshed out locations. My creative use of mold-able material should drive the product. My only gripe about Pawheton is that the building map is tiny and difficult to read. Two adventures round out the book and both can be set in the two locations if desired, increasing the richness. I can't comment on the efficacy of the adventures, nor would I if I could to avoid spoilers. The art in the book is fantastic. There are many single or two page spreads that look like they could be hung in an art museum. This may very well be the best art I've ever seen in a Cthulhu product. Not so good: Call of Cthulhu has always struggled with stereotyped appropriation of customs and religions of non-white cultures. I think the work of most recent products has done a good job of avoiding that concern and Down Darker Trails is not an exception. So, for example, a reader of this work could stand to learn a lot about Native American peoples by reading Down Darker trails. At the same time, I can't help but cringe any time I see references to "Shaman" or "Native American" "magic" in any Chaosium work. The authors are careful here to call it "Shamanic" and not "Native" magic, but that is clearly implied. The book mentions that Shamanic "magic" is "weaker" than Mythos magic, which I can't help but find that as derogatory. Every culture has it's own connections of spiritualism and I don't think it's right to play with that in a role-playing game. It crosses a line. (Another example is Vodou and Vodon in other CoC books being frightfully stereotyped.) So, if you intend to pick this up and this matters to you (which it should, in my opinion), be aware that the book treats the subjects ok, but not perfectly. All in all, I had no intention of running "Wild West" CoC games, but this book completely won me over. It is information rich and very well constructed. This is a really well thought out product. It focuses on what's important for bringing about a good period game; that being tons of historical flavor and information that can readily be used for the setting. It gives a good overview time-line, and focuses the rest of it's 'historical west' section on interesting, real people that could be used in your game. These range from famous lawmen and bounty hunters to infamous outlaws and everything in between. It does not spare any ink on a tedious gazetteer (I'm looking at you, Cthulhu Invictus), instead offering up two fictional towns, including NPCs and local history that would both make excellent settings for campaigns. The 'Supernatural West' section offers new context for existing mythos creatures in an old west setting. This section proved even more valuable than I might have initially thought, because most of the little blurbs gave me ideas for campaign details and adventure ideas. There is even a section on new mythos books with a particularly western flavor and a detailed entry on folk magic that might be practiced by indigenous peoples. Last but not least, the book fully supports pulp rules, including new ones for things like dual wielding pistols and fanning single action revolvers. It's great, and fully represents the new Chaosium's dedication to AAA production values and art direction, with stunning, evocative art throughout. Pick it up if you like Westerns and unspeakable horrors!